Learnetic SA is an experienced technology-based company operating in international educational publishing business. We offer a complete suite of advanced software applications supporting all stages of ePublishing processes. We provide our partners with advanced Authoring Tools and eLearning Platforms supporting Highly Interactive Content and Adaptive Learning. Our teams of experienced Software and eContent Developers are available for our partners in all variety of their technology-driven education projects. We offer also a ready suite of eContent packages in different subjects and most comprehensive Digital Math & Science K-12 Curriculum. How an Educational Publisher becomes a Technology Company. Steps Towards Truly Interactive Education. Your Strategic Decision: a Technological Mess or ePublishing Tranquility. The Next Generation of Educational eContent. How can K12 publishers leverage Big Data to boost their business? How to deal effectively with the growing presence of BYOD. Why and How to Flip Education? The K-12 educational publishing has its very distinctive needs which are very different from those in corporate training or higher education. Thus, selecting the right authoring tools capable of developing highly interactive materials and relevant platforms ready to deploy them is the strategic decision for years to come. 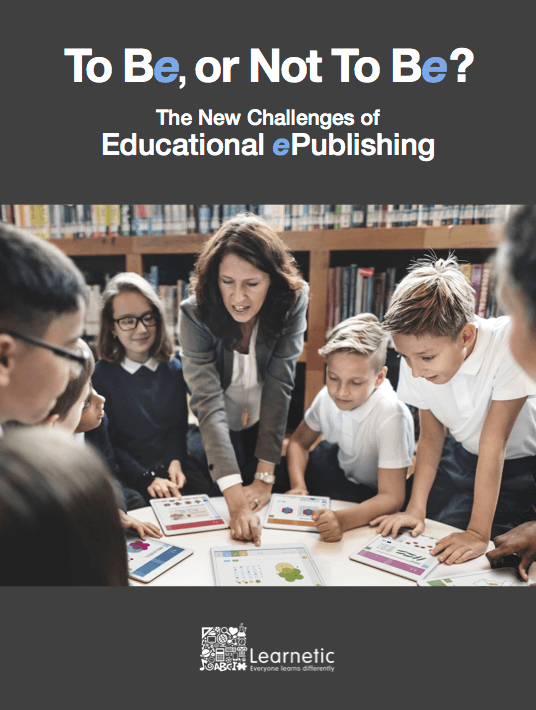 If you are a K-12 educational publishing company, this free eBook will provide you with all the essentials to move from printed materials to digital. You will discover the best eLearning authoring tools to create interactive eLearning content to engage students, while you will also familiarize yourself and learn how to work with the latest trends, like flipped classroom and BYOD.